Made in the USA! Lightning fast turnaround. Free shipping. 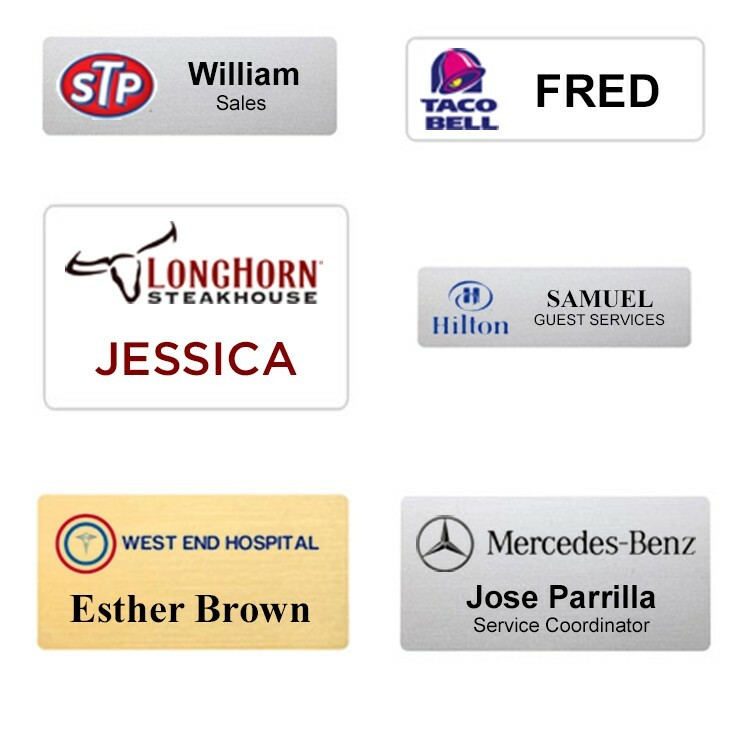 Our full color digitally printed name badge comes on ultra thick aluminum in white, brushed silver, or brushed gold. Standard sizes listed. Individually personalized with no limits on lines of text. Custom colors, sizes, and full bleed printing available at no extra charge. Our badges come on a .050 (1/16"), extra thick and durable aluminum that is resistant to bending and damage. Standard attachments include pin, swivel clip, strap clip, military clutch, and adhesive. Magnetic and Premium Pin fasteners available. Full color and full bleed included.